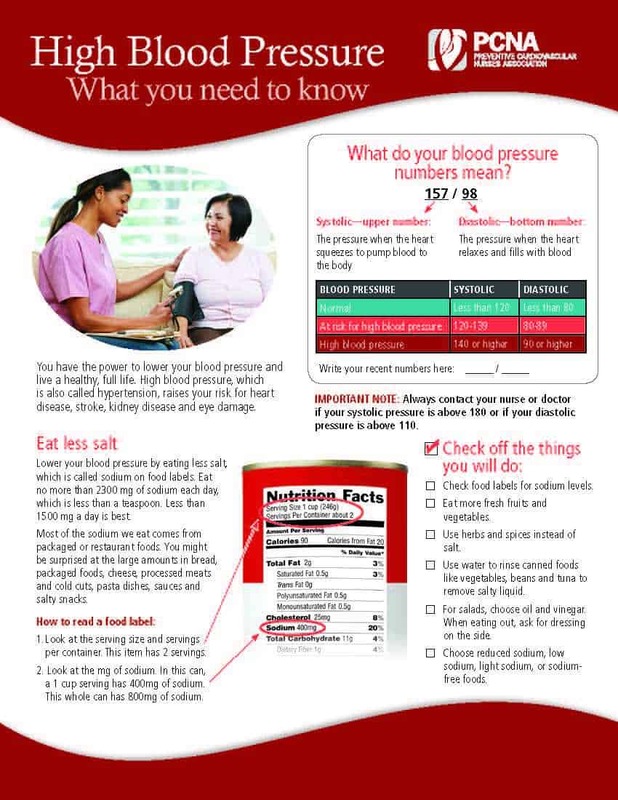 The Preventive Cardiovascular Nurses Association has developed a series of blood pressure handouts to support your efforts to educate patients and caregivers about hypertension. All materials are available in both English and Spanish. Booklet: How Do You Measure Up? 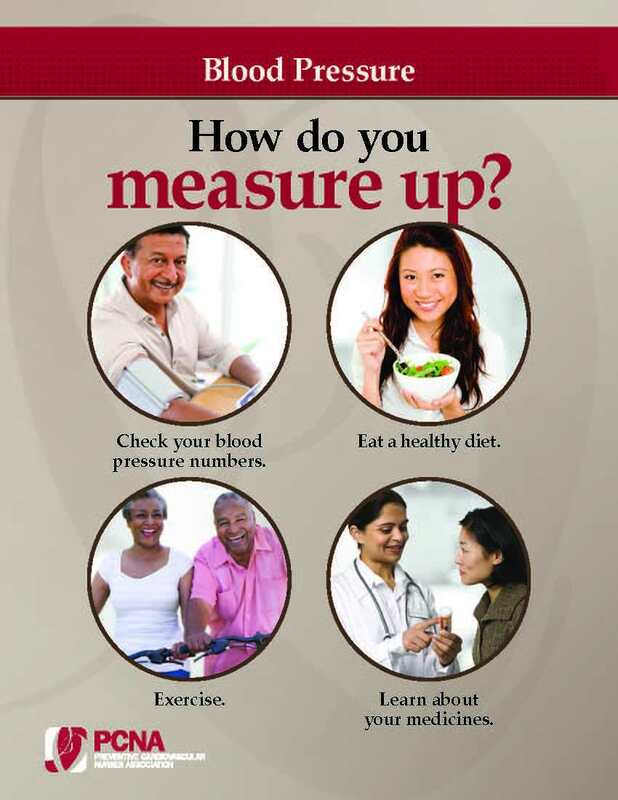 Help patients understand hypertension and what they can do to improve blood pressure. The easy-to-understand language, charts, checklists, and quizzes help patients track their progress and follow a healthy lifestyle. This free download can be used to determine the appropriate size blood pressure cuff for accurate measurement.